Well hello there. Welcome to Mrs. Lincoln's Inkin'. 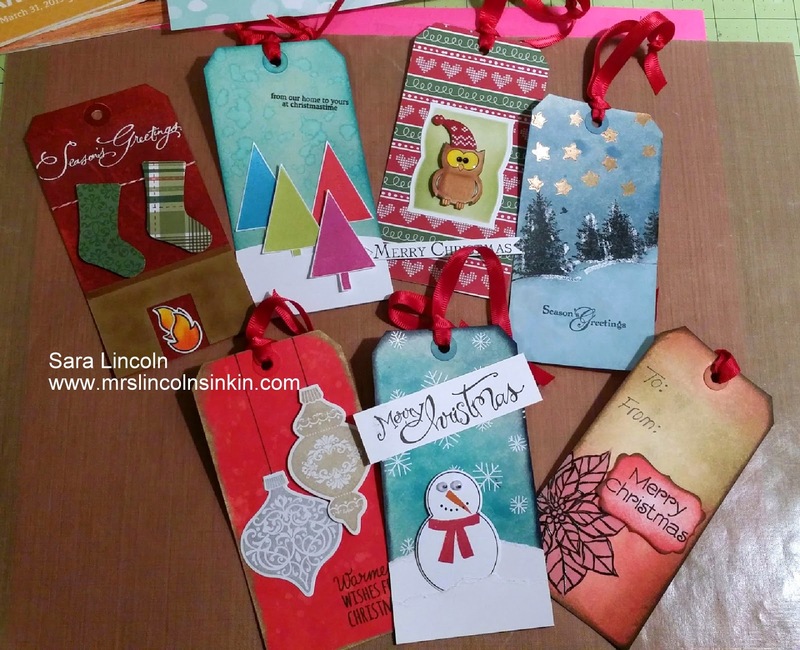 So, I bet you are wondering why you are seeing a bunch of Christmas tags when Christmas is over. Well, I was planning on posting this video before Christmas and share these tags with you however i didn't get to it:( So, since today here in the mitten it was -1 (last that I checked my coldness gage, that is what i am calling it, lol) it feels more like Christmas today then it was on December 25th! On some of the tags that you see above i used Distress Inks to make my backgrounds. I love this technique!! It's so simple and it NEVER comes out the same way. Quick video so lets get to it!